Arrive Yangon airport in the morning. Your English speaking tour guide will welcome you at the airport. Transfer to your hotel and check in. Program for the day depending on flight arrival time. Yangon is a city of 5 million people, but the downtown area is relatively small and can easily be covered on foot. 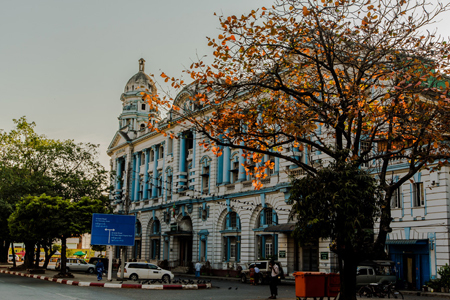 A morning stroll with your guide through Yangon’s colonial architecture to the Strand Hotel, once one of the most renowned hotels in Asia in line with the Oriental in Bangkok, Raffels in Singapore and the Peninsula in Hong Kong and during the last fifteen years restored to some of its former glory. At the Bogyoke Aung San market you will find everything of locally produced items, from Mandalay silk, ethnic minority products, silver and wood carvings to precious stones, garments and cheroots. In the heart of the city is the Sule Pagoda, the nucleus from where the city centre where were laid out in its Victorian grid pattern by the British about 150 years ago. 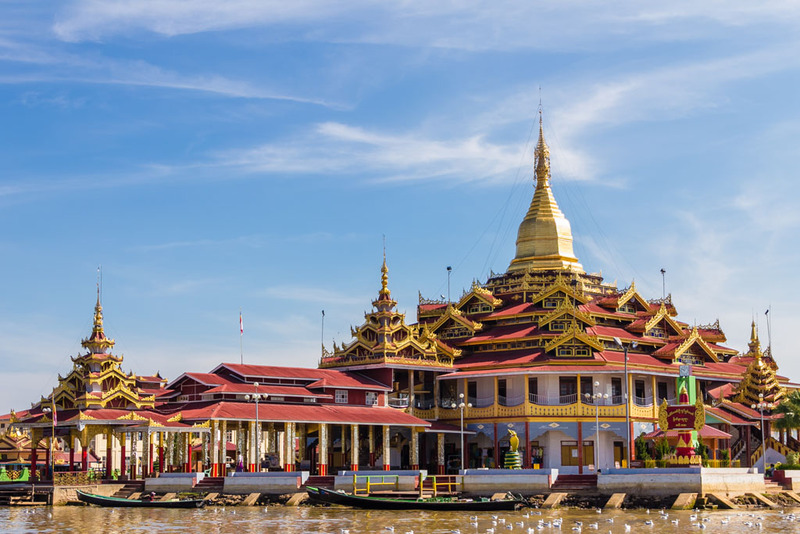 Even if it is a predominantly Buddhist community, Yangon is still home to many other faiths, and strolling about you will see Hindu and Chinese temples, Islamic mosques, Anglican cathedrals and various Christian churches. There is even a small Jewish synagogue. While Yangon until the 18th century was still an insignificant fishing village, its prominent and famous landmark, the Shwedagon Pagoda has stood there for more than 1000 years, mesmerizing visitors and residents alike with its glistening gold covered stupa where it is said that eight hairs of the last (Gautama) Buddha are enshrined at the base. The tip of the stupa is covered with 1800 carats gold and studded with thousands of diamonds, rubies, sapphires and topaz. A huge emerald sits in the middle to catch the first and last rays of the sun. You should go there in the late afternoon before sunset, remove you shoes and slowly wander the lower terraces together with the friendly local population of very devout Buddhists. The car will pick you up from your hotel for your mid morning flight to the Kyaing Tong in Eastern Shan State, the “Golden Triangle”, close to the border with China, Laos and Thailand. 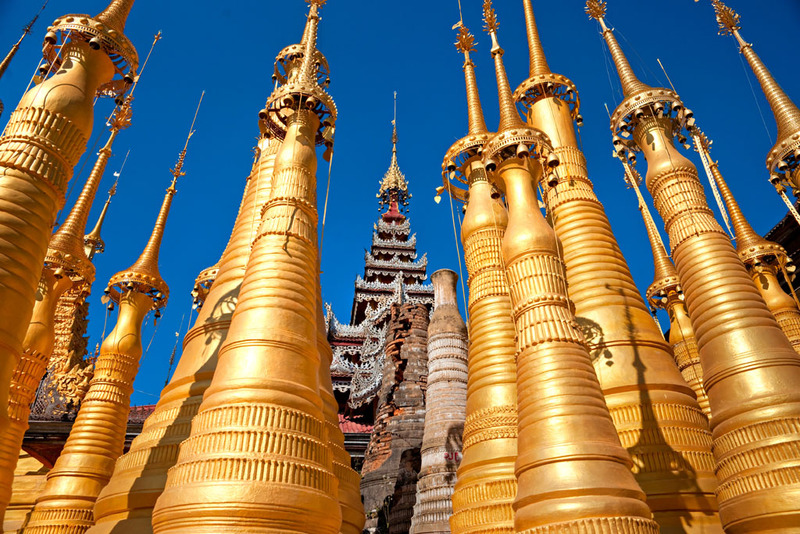 The trip takes about four hours with stops in Mandalay, Heho and Tashilek. 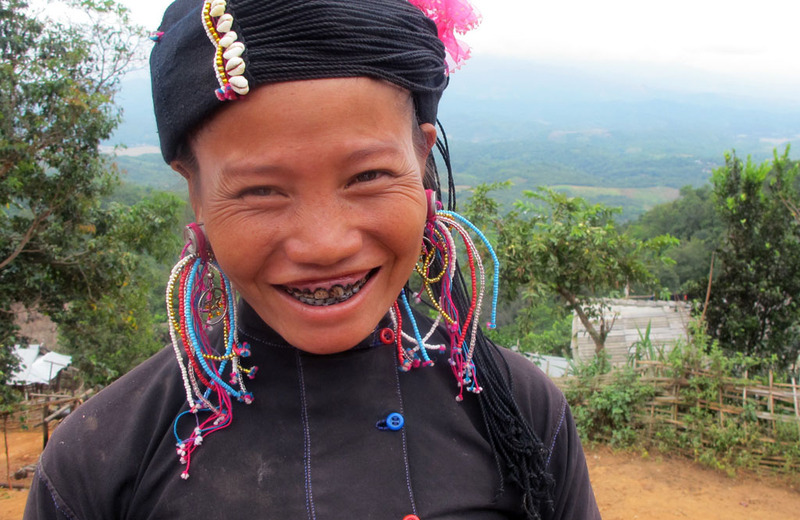 The local guide will meet you at the airport in Kyaing Tong. 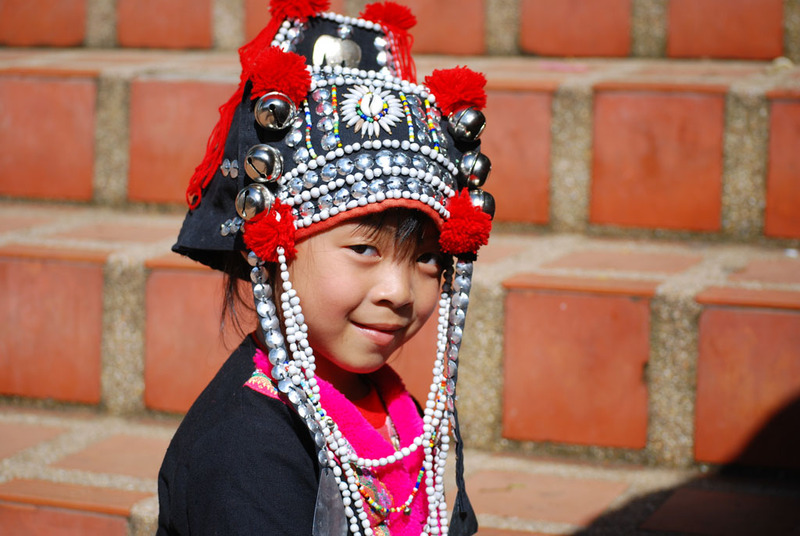 The place was off-limits to foreigners until the mid nineties and associated with opium trade, guerrilla warfare and colorful ethnic minority groups. Most of the ethnic rebel groups have later signed ceasefires with the Myanmar government, but sometimes tensions still flare up and it is not allowed for foreigners to stay overnight in the villages outside Kyaing Tong. Your hotel is located in the centre of town close to the main (morning) market. You could spend the late afternoon by the Nong Tone Lake, sipping some Chinese tea or a beer while the sun goes down, or have a tour of the main attractions. Kyaing Tong still has much of the Lanna architecture and culture that previously existed in Northern Thailand. The city only enjoys electricity a few hours a day (the hotel has a back up generator) so bring a flashlight when you go out for dinner at night. 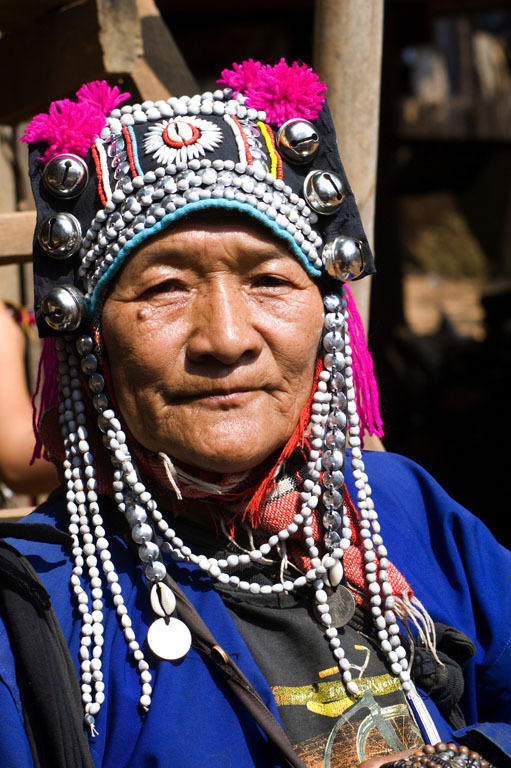 Different ethnic groups, Akha, Lahu, Lisu, Palaung and Ang, live isolated in their own villages, with their unique costumes, language and customs and grow highland rice and other crops by the “slash and burn” method. You will be driving on relatively poor road and will then walk through the magnificent scenery on the trail systems that lead up to the individual villages. There are not many tourists to Kyaing Tong and even fewer in the rural areas, so for some village residents, foreigners are still a rarity. Many early morning hours could be spent at the main market, which ranks as one of the best in Myanmar. Here come the area’s different ethnic groups to sell their products and buy their daily necessities. And here are offered goods brought over the border from Thailand and China. 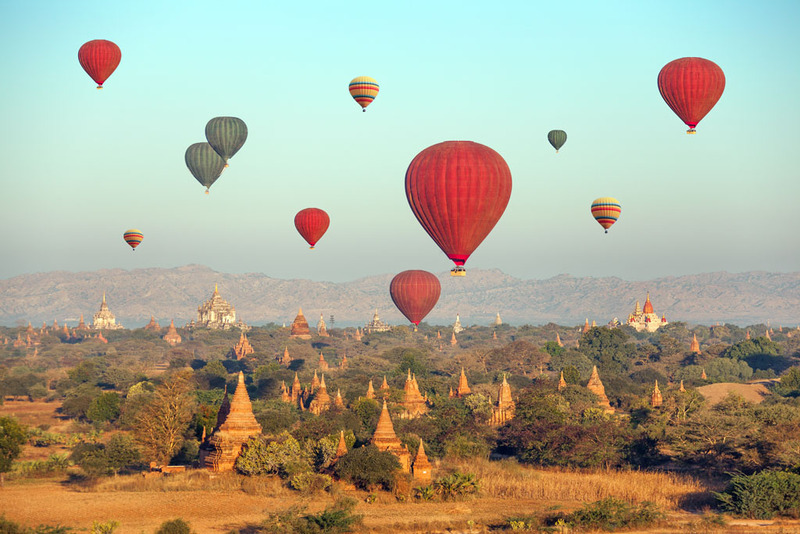 The midmorning flight from Kyaing Tong will take you to Heho, which is in the Southern Shan state. 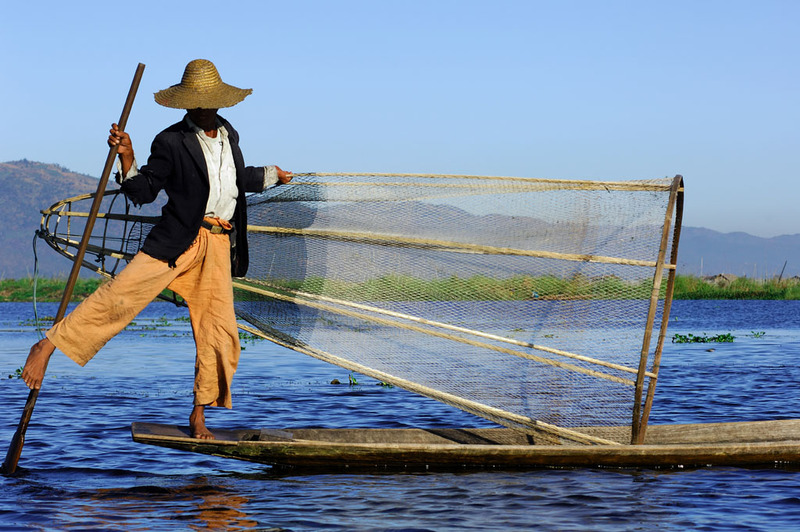 Met by guide and drive to Nyaung Shwe on the bank of Inle Lake. 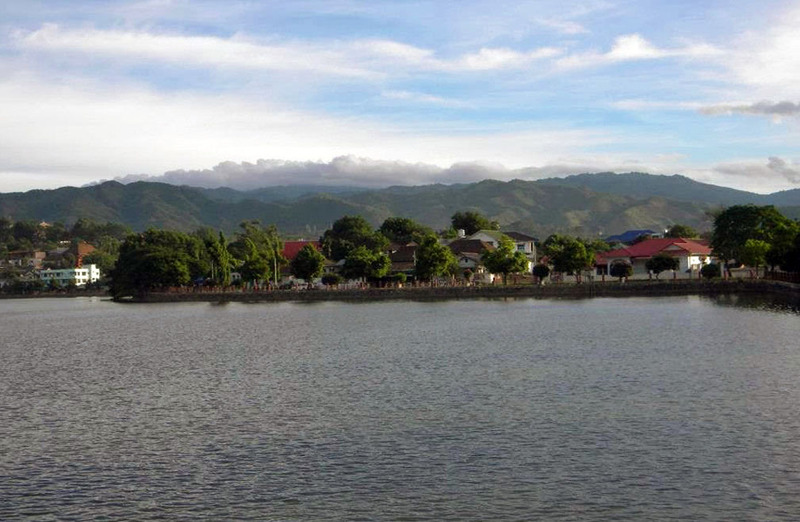 Nyaung Shwe is a pleasant and laid back provincial town with a good market and many small eateries. 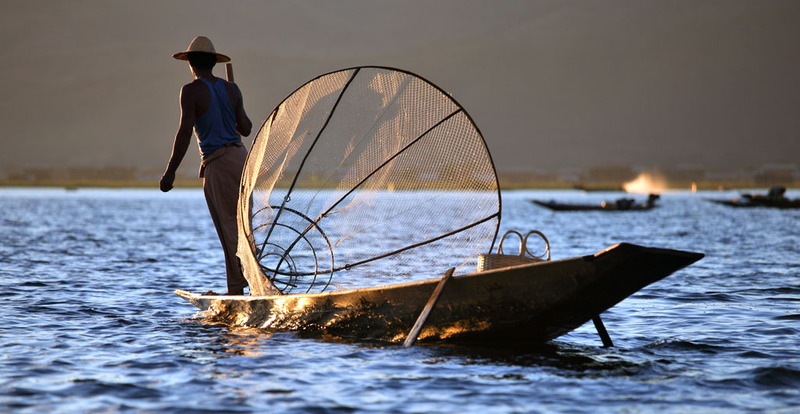 Inle Lake is rather shallow, being only 3-4 meters at its deepest, and it is difficult to determine its real dimension, as beds of silt and tangled water hyacinths somewhat conceal its true size. Some of this silt and weed are used by the local population as garden beds, often towed away to other parts of the lake where they are anchored to the sea bed by bamboo poles and filled with mud from the lake bottom to make a very fertile basis for many kinds of vegetables, especially tomatoes. 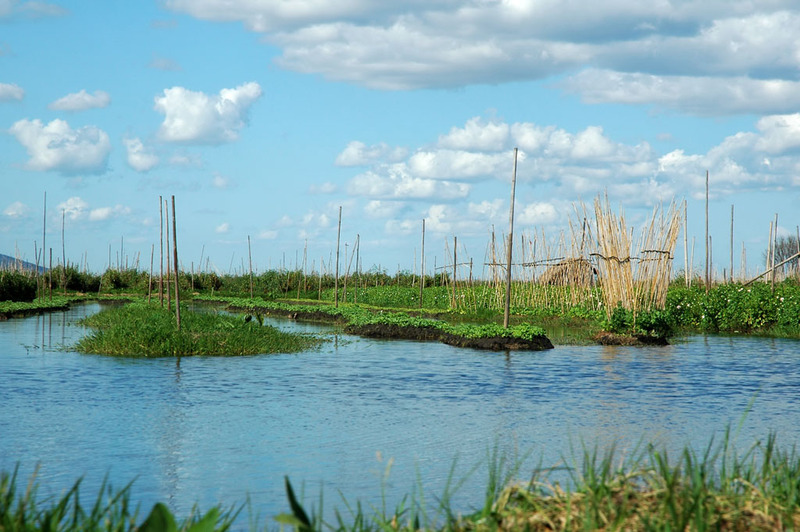 All transport is by boat, whether to school, to do shopping or to attend the floating vegetable gardens. The day is on the lake cruising among the floating gardens and villages on stilts, visit silk-and lotus weaving workshop and other places for local crafts. In the morning by boat to the village of Indaing on the other side of the lake, a very scenic route along the river leading from the lake to the village. 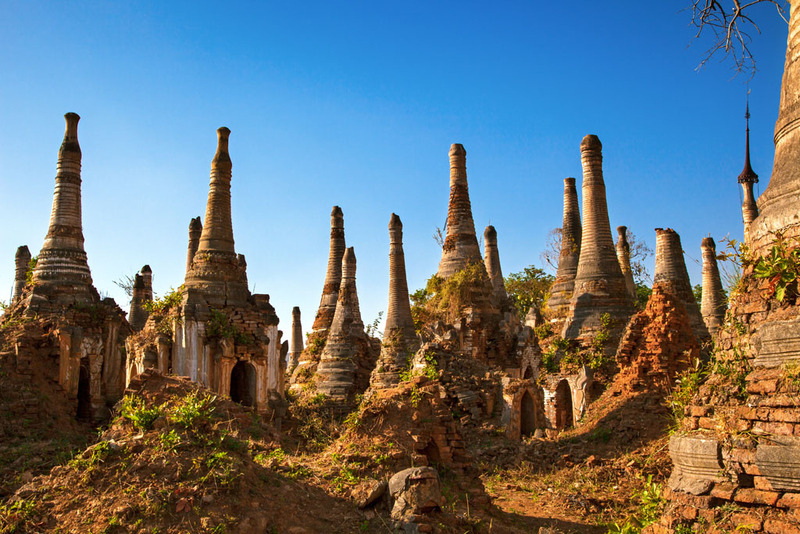 Indaing is famous for the about 1000 small stupas in Shan style, some from the 15th century. The rest of the day on the lake. Morning on your own in Nyaung Shwe. You can rent bicycles or a tuk-tuk and visit nearby villages, or the Red Mountain Estate, a nearby winery situated on a hill above the lake to sample some their Sauvignon Blanc, Shiraz and other wine produced from locally grown grapes. After lunch by car to Heho and your flight to Yangon. Please note: As there may not be flights to and from Kyaing Tong every day of the week, your travel dates or the program itself may have to be adjusted to fit the actual flight schedule.